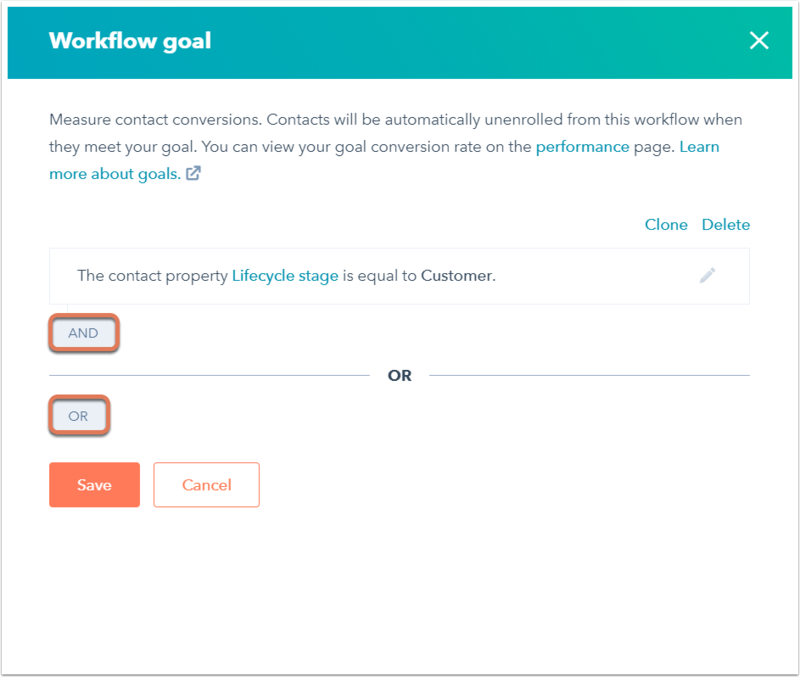 For Sales Hub and Service Hub Professional and Enterprise users, workflow goals can be used to unenroll or exclude contacts in contact-based workflows. If you have a Marketing Hub Professional or Enterprise account, learn how to use suppression lists in contact-based workflows to unenroll or exclude contacts, or learn how to use goals to focus the objective of your workflow and measure its success. If you are trying to unenroll or exclude objects in company-based, deal-based, quote-based, or ticket-based workflows, learn how to set unenrollment triggers. In the upper left, click goal Set goal. In the dialog box, set a criteria for the goal. For example, you can select Contact property | Lifecycle stage | is any of | Customer to unenroll or exclude contacts who have a lifecycle stage of Customer. Then, click Done. To add multiple criteria to the goal, click AND or OR. Learn more about AND vs OR logic. Going forward, any contact that meets the goal criteria at the time of enrollment will not be enrolled in the workflow. Contacts who are active in the workflow and meet the goal criteria will be unenrolled from the workflow. You can identify active contacts that were unenrolled from your workflow as a result of meeting the goal criteria in the workflow history. 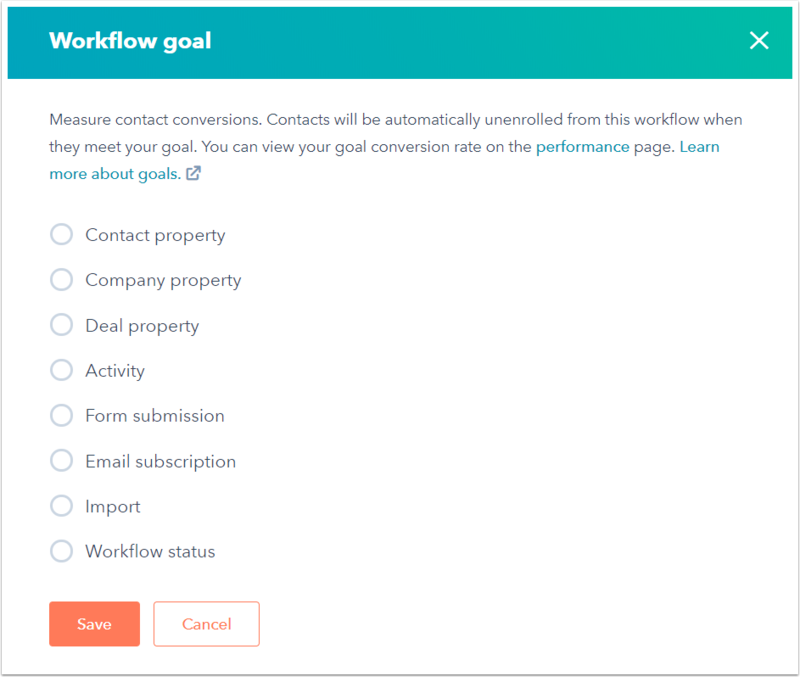 Please note: goal conversion rates are used to measure the success of a workflow in nurturing contacts, and are only available in Marketing Hub Professional and Enterprise accounts.